29th International Conference on Pediatrics & Primary Care is the world’s leading conference for health care professionals to gather and contribute their research for the health of the children. World Pediatric Summit offers over 30 sessions from different areas in the field of Pediatrics & Primary Care in the form of Keynote, Plenary and workshop sessions including oral and poster presentations. Pediatrics Conferences which is going to be held in global city Barcelona, Spain during September 23-24, 2019 will address fast growing technology rapidly changing the healthcare with significant opportunities for Pediatrics & Primary Care. Pediatrics Summit will bring together pediatricians, general physicians, practitioners, researchers, clinicians in a universal forum, enabling the exchange of novel advancement in the field of Pediatrics & Primary Care in both science and practice. Pediatrics Conference 2019 is the best place to enhance networking and would provide opportunity to interact with world’s leading scientists and researchers. Attending Pediatrics World Conference plays a vital role in the current education of nurses, physicians, technicians and all other health care professional providers. Pediatrics Conferences helps physicians to develop their skills and provide them an opportunity to renowned personalities in the field of Pediatrics & Primary Care. The panel discussions held in Pediatrics Conferences servers as a unique platform for sharing information and learning of new skills and hence improves the quality of their treatment and provide better aids to children. Networking session at Pediatrics Conference servers as a excellent opportunity to associate and share information on practice methods. The study of Pediatrics is to reduce death rate of infant, child and adolescents. To control the spread of infectious diseases and to promote healthy lifestyle. 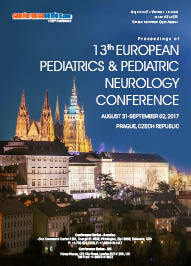 Pediatrics Conferences call for abstracts on pediatrics to discuss more about the latest and on-going research. We welcome all the researchers, Pediatricians and pediatric specialists to share their research. Idaho Primary Care Association, European Society of Pediatric and Neonatal Intensive Care, European Academy of Pediatrics, Ontario Association of Pediatricians, Associations for European Pediatrics and Congenital Cardiology (AEPC), Padua, Italy, Czech Pediatric Society (CPS), European Academy of Pediatric Societies (EAPS), Geneva, Switzerland, European Academy of Pediatrics (EAP), Geneva, Switzerland, European Association of Pediatric Education (EAPE), European Confederation of Primary Care Pediatricians (ECPCP), UK, European Pediatric Association, European Pediatric Association (EPA/UNESPA), Berlin, Germany, European Pediatric Neurology Society (EPNS), Bolton, UK, European Pediatric Surgeon’s Association (EUPSA), London, UK, European Society for Child and Adolescent Psychiatry (ESCAP), Geneva, Switzerland, European Society of Pediatric Dermatology (ESPD), Prague, Czech Republic, European Society of Pediatric Infectious Diseases (ESPID), Scotland, UK, European Society of Pediatric Neonatal and Intensive Care (ESPNIC), Geneva, Switzerland, European Society of Pediatric Neurosurgery (ESPN), Athens, Geneva, Switzerland, European Society of Pediatric Research (ESPR), UK, European Society of Pediatrics Allergology and Clinical Immunology (ESPACI), European Society of Pediatrics Allergology and Clinical Immunology (ESPACI), European Society of Pediatrics Endocrinology (ESPE), Bristol, UK. Pediatric primary care services includes wellbeing supervision and expectant direction; checking physical and psychosocial development and advancement; age-suitable screening; finding and treatment of intense and incessant issue; administration of genuine and hazardous disease and, when fitting, referral of more unpredictable conditions; and arrangement of first contact mind and additionally organized administration of medical issues requiring numerous expert administrations. Neonatology is a sub topic of pediatrics that comprises of the medical care of newborn child, especially the ill or premature baby. It is a hospital-based specialty, and is usually practiced in neonatal intensive care units (NICUs). Pediatric Conference focuses on Neonatology and invites neonatologists to present their research. Neonatal mean New born. Newborn are treated in Neonatal Care units for premature babies, with low weight or the babies whose health condition is unstable. Depending upon the condition of the babies care units are categorized i.e. 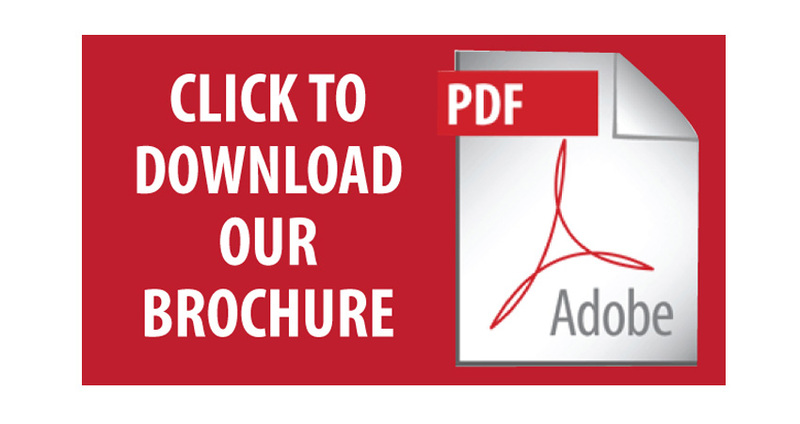 Intensive Care, High dependency care, Low dependency, and Transitional care. Feeding the new born with human milk is Breast Feeding. As per the American Academy of Pediatrics Conferences human breast feeding is recommended to infants. Breast milk contains amino acids, sugars & fats. Break milk provides the babies with sufficient amount of vitamins, enzymes & minerals. Pediatrics Conferences invites all the researchers to present the novel discoveries in the topic related to Breast Feeding. Pediatric Cardiology is the study of diagnosis and treats the children with cardiac/heart conditions. Pediatric Cardiologists are pediatricians who are specialized in cardiology treat the children & infants. Pediatric Cardiology Conferences invites novel research areas i.e. heart diseases in infants. Children and adolescent also including embryology and anatomy, physiology and pharmacology, biochemistry, pathology, genetics, radiology, clinical aspects, investigative cardiology, electrophysiology and echocardiography, and cardiac surgery. Pediatric Cardiology Conferences 2019 is a call for academics, clinicians, healthcare managers and policy makers. Pediatric Health is a branch of medicine which is concerned with the health of infants, new born, adolescents their growth and development. Pediatric Health Conferences call for recent clinical information and research with regards to primary, acute and health for children within a family Centered context. General Pediatrics is a study of pediatrics deals with new born babies, children, infants and adolescents. A general pediatrician treats various categories of childhood diseases starting from a case of acne to a child’s ongoing battle with muscular dystrophy. Pediatrics Conferences is dedicated to providing outstanding clinical care, advancing the knowledge to improve the children health. Mental Health issues are not all the time obvious in children and adolescents. There are various reasons to get affected. A child may get anxiety or depression, which are unlikely to identify by their parents. Children and Adults with Mental health issues can develop anxiety, depression, and psychological disorders. Pediatrics Conferences address the key issues about the Child and Adolescent mental issues. Pediatric Dentistry mission is to optimise oral health in children & adolescent. Our Pediatric Dentistry Conferences is dedicated to discuss about how to consider and treat the children in a way that can make them comfortable. Pediatric Ophthalmology is one of specialization in pediatrics which deals with managing children’s eye infections. The human visual system makes as the psyche builds up a strategy that takes around ten years. Regardless of the way that a baby's eyes are optically prepared for seeing, infant kid vision is confined to around 20/1500 (the ability to see the conditions of people yet not their components), somewhat in light of the way that the cerebrum has not made sense of how to deal with the visual messages it gets. As visual progression proceeds with, that same youth will at last have the ability to perceive the best inconspicuous components in a photo. Pediatric Ophthalmology Conferences will raise the most aggressive key issues in the field of Pediatric Ophthalmology. The Pediatric Oncology Branch is given to upgrading results created to expand the results for the kids with tumor tendency disorders. Pediatric oncology Conferences is the part of solution worried about the finding and treatment of malady in youths. Around the globe, it is assessed that tyke tumor has an event of more than 175,000 for consistently, and a passing rate of pretty about 96,000 for every year. In made countries, youth threat has a mortality of pretty much 20% of cases. Pediatric Allergy Conferences relates to children with frequent cough, wheezing, allergies and other complex medical conditions like bronchiectasis, cystic and tuberculosis with progressive facilities such as malleable bronchoscopy for diagnostic and therapeutic intervention. Pediatric Dermatology Conferences address with child skin disorders. Pediatric Dermatologist treats children/adolescent which may require some procedures like laser therapy and cutaneous surgery. The American Board of Dermatology has established certification for sub categories of Dermatology and Pediatric Dermatology. 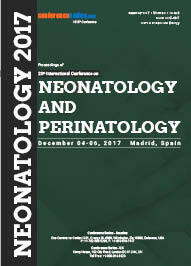 The purpose of organizing Upcoming Pediatrics Conferences for 2019 is to provide opportunity to meet leading and Top Pediatricians and Neonatologists from America, Europe, Asia and Middle East in 2019 under a single roof in the beautiful city of Barcelona, Spain to discuss the latest advancements and research for the better improvement of pediatric health. Apart from plenary & keynote session we are introducing workshop/ special session on the related topics in the field of Pediatrics & Primary Care. Pediatric Conferences for 2019 has been scheduled during September 23-24, 2019 in Barcelona the capital city of Spain and most populous urban area in Europe. Barcelona is well known for world class conferences and international sport tournaments. Our upcoming pediatrics conferences are continued to bring up all the leading and Top Pediatricians and Neonatologists from America, Europe, Asia and Middle East in 2019 to present the latest research challenges and treatment for better health of Children. It conjointly gives the head information area gathering for analysts, specialists, business representatives and understudy network to display and talk about the latest propelled developments, inclines and with respect to intuitive systems, down to earth Challenges experienced and the arrangements received in the field of Pediatrics. Barcelona, the advanced and in vogue capital of Catalunya, a city like no other in the entire world, a place where a wide range of societies blend and make an extraordinary kaleidoscope of individuals, mold, music, sustenance, moves. A city which offers a design history that contains from the fourth Century AD to the most noteworthy Modernist structures; Barcelona is a home for specialists and intelligent people, a moving town like couple of others. Try not to miss a thing of this uncommon city with our point by point control. Set between the Mediterranean seaboard and the slopes of Montjuic, Barcelona's area is magnificent. Hardly any urban areas of its stature brag in excess of 4 km of shorelines right in the downtown zone! Additionally, you can take a short trek to France, to neighborhood costal settings with flawless shorelines, or to adjacent mountains ideal for climbing and skiing. Barcelona is the place where pediatrics is major research in the city and there are numerous pediatric hospitals and organization; Most renowned scientists, pediatricians, neonatologists are from Barcelona, Spain. By seeking the suggestion from our editorial board members Conferenceseries llc ltd gearing by with world class presentations for upcoming pediatrics conferences at Barcelona, Spain. Barcelona is Spain’s top tourist city destination. It is a prominent city to visit, blending settings of verifiable enthusiasm with energizing diversion and excitement openings. Nearby its major chronicled locales, Berlin offers a differing scope of best attractions – world celebrated structures, exhibition halls Island, city parks, men's club theaters, celebrations and Historic, glass-domed home of parliament obviously a lot of shopping openings. 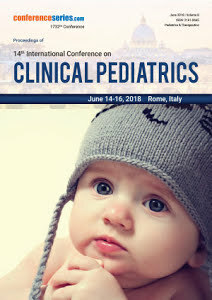 Pediatrics Conferences for 2019 at Barcelona will definitely provide a wonderful experience to attendees to explore the beautiful city with gaining knowledge. 20th International Conference on Pediatrics & Primary Care which is held in the leading global city Zurich, Switzerland attracting country's economic and cultural hub and one of Europe's main financial and industrial capitals. The conference took place in Hilton Zurich Airport. Pediatricians, Researchers, physicians, students and other healthcare professionals gathered from all over the world gathered to participate in the Pediatrics & Primary Care 2018 Conference at Zurich. Our Conference covered the novel research and Clinical study in the field of Pediatrics & Primary Care. With Prof. Stefan Holland-Cunz, University Hospital of Basel, Switzerland as a moderator for the conference, Pediatric Summit was organized by Conferenceseries llc ltd. The goal of Pediatrics Conference is to provide a platform for the international relationships among the researchers involved in the field of Pediatrics & Primary Care. Pediatrics Conference organizers would like to express their gratitude to all plenary speakers and participants joined this international network and visited Zurich, Switzerland to make their presence by high quality presentations, interesting discussions and feel unique atmosphere of the fruitful scientific gathering. With the huge success of Pediatrics & Primary Care 2018, Conference Series LLC LTD is proud to announce the "29th International Conference on Pediatrics & Primary Care " to be held during September 23rd-24th , 2019 at Barcelona, Spain.